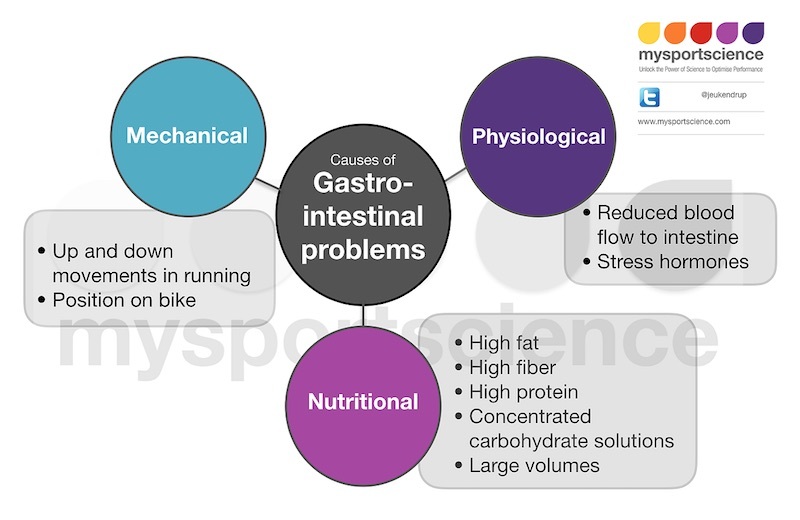 GI (gastrointestinal) issues are very common amongst runners and endurance athletes, with an estimated 30 to 50% of distance runners experiencing intestinal problems related to exercise. Bill Rodgers, marathon legend, with four victories in both the Boston Marathon and New York City Marathon in the late 1970’s said: “More marathons are won or lost in the porta-toilets than at the dinner table”. This illustrates the magnitude of the problem for endurance athletes and in particular long distance runners. The issues experienced by runners can normally be divided into two categories: symptoms of the upper intestinal tract or symptoms of the lower intestinal tract (see figure below). There is also a third category of symptoms that cannot be classified as upper or lower gastrointestinal problems but might be related to the gastrointestinal tract (for example a stitch). The vast majority (83%) of 471 marathoners who completed a survey reported GI problems occasionally or frequently during or after running: 53% experienced the urge to run to the toilet and 38% reported diarrhoea. Women were more likely than men to experience these problems. 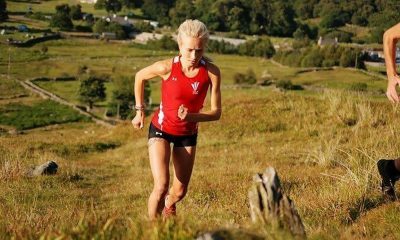 Among 155 mountain marathoners, 24% had intestinal symptoms; with two dropping out due to GI troubles. In another study, which surveyed 1,700 partici­pants following a marathon race, found that lower gastrointestinal symptoms, including abdominal cramps and the urge to go to the toilet, were more common than upper gastrointestinal symptoms such as heartburn, bloating, and a side stitch. Overall the study showed the most common symptom experienced was the urge to go to the toilet, with 36% to 39% of the participants reporting issues both during and immediately after running. 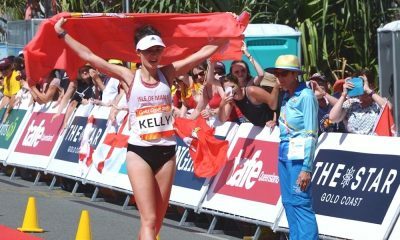 What are the causes of GI problems in runners and athletes? At present, the causes of GI problems are not completely understood. The symptoms are difficult to investigate because they are often specific to race situations and are very difficult to reproduce or simulate in a laboratory. Nevertheless, some laboratory studies have been performed, and field studies have correlated the symptoms with nutritional intake and other factors. 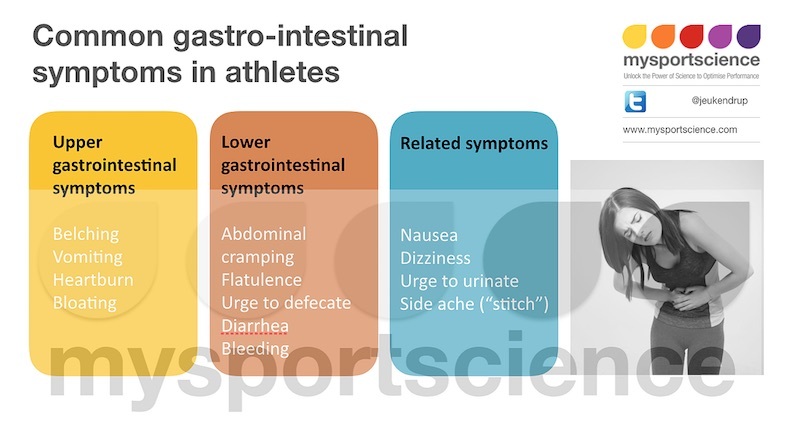 Physiological causes of GI issues include reduced blood flow and increased anxiety (especially before competition). With exercise, blood flow is preferentially redirected to the working muscles and blood flow to the gut can be reduced by as much as 80%. Such low blood supply can compromise gut function to varying degrees and can result in commonly experienced GI issues such as cramping. In severe cases, it can even result in injury of the large intestine as a result of inadequate blood supply (ischemic colitis), although with training, this decrease in blood flow becomes less pronounced. Also, there is no clear evidence that individuals less fit are more prone to developing issues as a result of reduced blood flow to the gut. Anxiety has an effect on hormone secretion which in turn can affect gut movement, resulting in incomplete absorption and loose stool. The mechanical causes of GI problems are either impact-related or are related to posture. 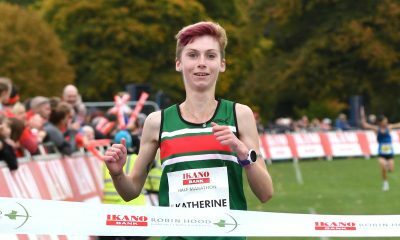 Gastrointestinal bleeding which is common amongst runners is thought to be a result of the repetitive high-impact mechanics of running and subsequent damage to the intestinal walls. 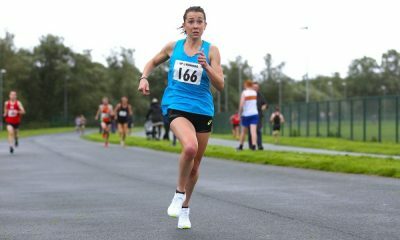 This repetitive bouncing of the stomach during running is also thought to contribute to lower GI symptoms such as flatulence, diarrhoea and urgency. Finally, nutrition can have a strong influence on gastrointestinal distress. Fibre, fat, protein, and fructose intake have all been shown to contribute to an increased risk of developing GI issues. Dehydration, possibly as a result of inadequate fluid intake, may also exacerbate the symptoms. A study in Belgium demonstrated a link between nutritional practices and gastrointestinal complaints during a half–Ironman distance triathlon. Gastrointestinal problems were more likely to occur with the ingestion of fibre, fat, protein, and concentrated carbohydrate solutions during the triathlon. Drinks with high density (osmolarities >500 mOsm/L) seemed especially to be responsible for some of the reported complaints. (typically these osmolalities can be found in drinks that contain >12 g/100 ml of carbohydrate as well as electrolytes; most sports drinks are around 6 g/100 ml). The intake of dairy products may also be linked to the occurrence of GI distress. Mild lactose intolerance is fairly common and could result in increased bowel activity and mild diarrhoea. Although some risk factors have been identified it is still unclear why some individuals seem to be more prone to develop GI-problems than others. To minimise gastrointestinal distress, all these risk factors must be taken into account, and milk products, fibre, high fat, and high protein must be avoided 24 hours before competition and during exercise. In our next post, we will discuss the preventative measures you can put in place to avoid GI issues when running or participating in other sports. Asker Jeukendrup is a Professor of Exercise Biochemistry and Director of Mysportscience. He has published extensively on the topic of sports nutrition and acts as a consultant to many elite and not so elite athletes all over the world. He is also a keen runner and triathlete. You can contact Asker on twitter or mysportscience.com.